A movie with a clever premise and unique way of taking on time travel that still ends up feeling routine with it’s serial killer mystery plot. 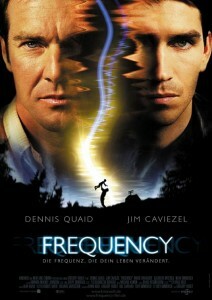 Frequency is a somewhat interesting movie with an unusual premise. It’s about time travel, only it isn’t. The basic idea is that a father in the past connects with his son in the future through an old radio. It’s even hard to explain. Basically, the father in the past died. And now in the future, his son is an adult, John, played by Jim caviezel, who hears a voice coming through the radio. The voice is coming through from decades ago, and it belongs to his father. It’s an okay idea. Not really that far off from the usual time travel movie where one character has to prove to another that he’s from the future by telling of things that are going to happen. Or where one character has to prove that he really is who he says he is by telling of things that only he would know. All of these points are cliches of numerous films, like big. And the first quarter or so of this movie has little to offer other than that. The two characters connect, prove who they are to each other, and then John saves his father, Frank’s (Dennis Quaid) life by telling him to go the other way in a fire that supposedly killed him. Only it didn’t kill him anymore. For all the attention that moment and idea gets in dialogue, you would think the movie might make it more obvious that while in the fire, Frank really does have two choices of which way to go and makes sure to go the way his son tells him. In the movie, we see the fire scene and Frank inside, but this choice about direction, that apparently changes everything and saves his life, is not very clear at all. None the less, Frank is saved and the newspaper clipping about him dying in the fire that john has a copy of has changed. Now it reads hero fireman saves girl. This is like back to the future stuff. Especially when people start disappearing out of photographs. The father is saved and now it’s time for another plot point. And it comes fast as john learns that his mother has now died. Something they did changed the future so that a killer who murdered three women has now murdered ten women and his mother is one of the victims. Here comes the butterfly effect idea that changing one little thing will somehow alter everything. And the rest of the movie turns into a mystery with the two men working on finding the killer from both the past and future. it’s an interesting concept, but the problem is, just like the fire situation, the mystery gets all muddled up. There are no great clues or realization moments. It’s all kept simple with John telling his father where the killer is going to strike and then frank going to these bars and looking for the killer. he ends up talking to the women there who are supposed to be the victims, never wanting to take his eyes off them, as the killer sits at the bars watching them. Where it gets messy is how the killer is using two different identities. His own, and also another man’s. And then there’s the moment where they have to transport something from the past into the future to preserve and then trace fingerprints, and they do this by putting it somewhere that no one will find it for the next thirty years. They burry a wallet in the past and suddenly it turns up in the future and the fingerprints can be traced. It’s pretty ridiculous. It’s the mystery and how unclear the ideas surrounding the bad guy are that kind of ruin this movie. The premise with radio and connects past and future is fine, and the idea to then bring a mystery into it is also a good one. But after that, the movie loses it’s focus. The killer somehow finds frank, coming to the police station to talk to him, knowing that he is in there talking to the cops. How does he know? 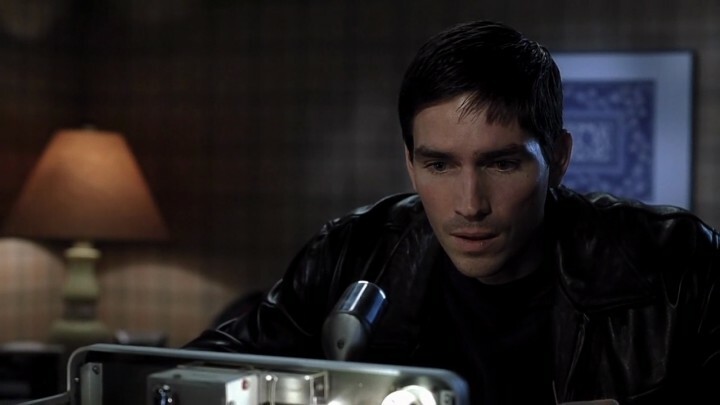 Similarly, frank sneaks into the killer’s apartment and they have a fight that turns into a chase around the streets and just as all of this is happening, the good guy policeman friend, Sach (Andre Bauer), shows up. Just as the ideas surrounding the killer are blurry and unclear, the ideas surrounding this andre bauer character are mostly pretty silly and ridiculous. Like him talking to frank’s wife in a diner when suddenly the game is on in the background and he hears the play and stands up because it is the same play frank told him would happen. With everything going on with the case, and now sitting at the diner with this woman, it’s pretty unlikely that he would here the play in the background and be thinking about it and be thinking about what frank told him. And it’s not exactly creative either. The use of sports moments to show that someone really is from the future is an absolute cliche. Noah Emmerich pops up in the beginning of the movie as John’s best friend and then disappears for nearly the whole film. His girlfriend, who apparently means a lot to him, suddenly doesn’t recognize him after the future gets changed, and that idea and character is completely dropped from the movie, and then there’s this case from about thirty years ago. I understand why John would care about it, because for him, he just learned that his mother died, but why would sach or anyone else care> the killer hasn’t committed a murder in ages and the case is long forgotten. The movie is by gregory hoblit who made primal fear and then fallen. Frequency rounds out his three good movies, although it’s not half as good as those other two. It certainly has the creative premise going for it, but then drops the ball over and over again along the way.